You had me at hello. I mean, chocolate. Then you really had me at Double Chocolate. I’m still debating with myself whether to call these breakfast or snack or dessert. Maybe I should just call them all three. Maybe a weekend breakfast, an afternoon snack and a late night treat. Whenever you want to serve them, just serve them. I won’t judge if you have them for breakfast everyday of the week. I just want you to make them and be wow-ed by them! Prepare baking sheet with a baking mat or parchment paper. 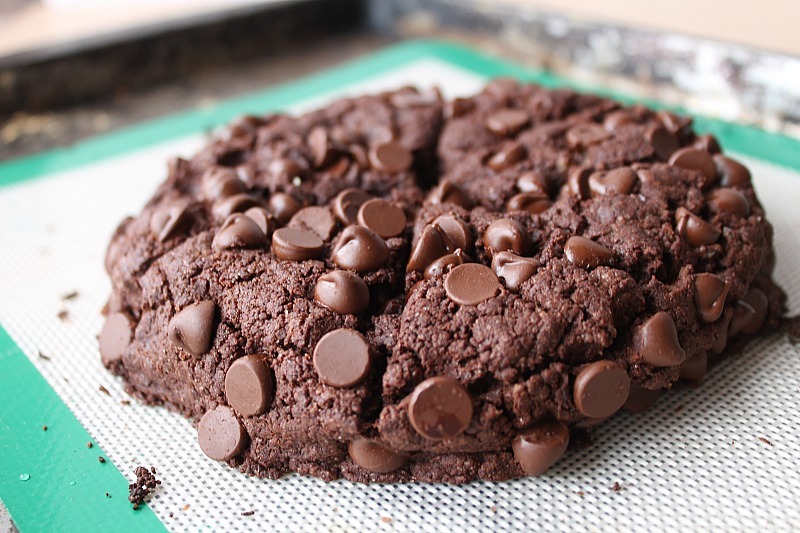 In a medium bowl, combine the flour, cocoa powder, brown sugar, granulated sugar, baking powder, and salt. Stir to combine. The mixture will be uniform when ready. Use a fork or pastry blender to cut in the butter and coconut oil. The mixture will resemble crumbly lumps. This should be done as quickly as possible so the butter and oil don’t start to melt. It might take around 3 minutes to get the butter thoroughly blended in with no large clumps remaining. Add milk to the mixture and stir gently just until combined. It will look dry and crumbly and that’s okay. Move dough from bowl to baking sheet and form a rounded loaf. Be careful not to work the dough too much because the heat from your hands will melt the fats. Divide the loaf into 8 wedges with a floured knife. Do not cut all the way through the bottom. Stop about 1/2 inch from the liner. 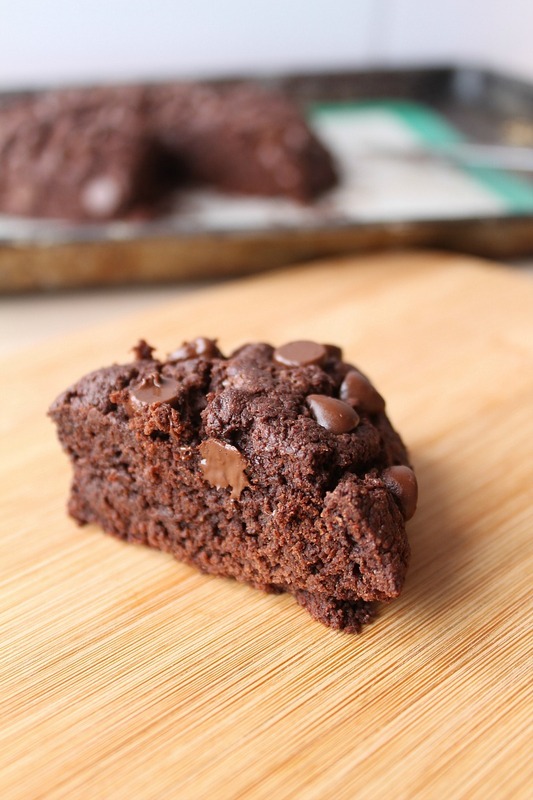 Top with all of the chocolate chips and press them gently into the mounded dough. 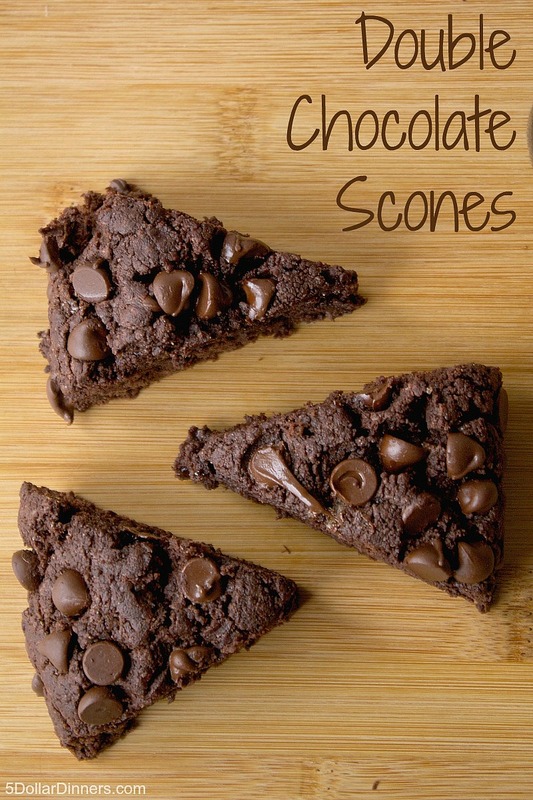 Serve Double Chocolate Scones warm from the oven. What can I use in place of the coconut oil? I would think you could just use butter. I’ve made various scone recipes and they all use butter. It’s a small amount, so I can’t imagine it would affect them hugely.